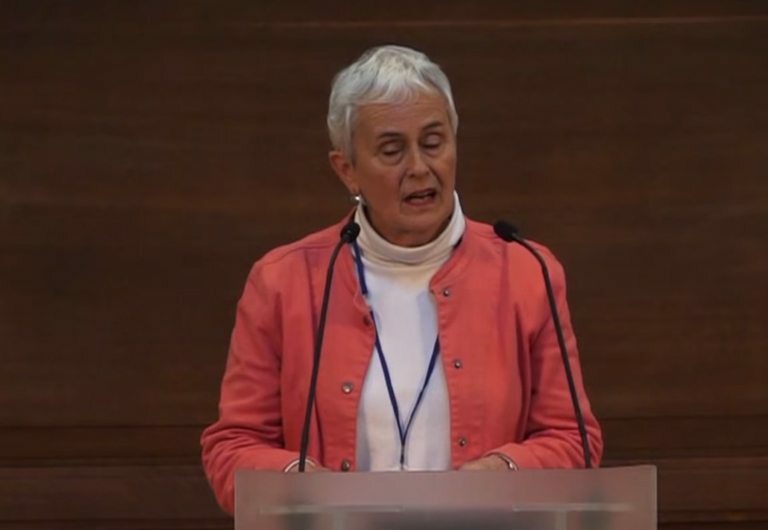 The 2015 Swarthmore Lecture: Faith, power and peace was given by Diana Francis at 7:00 pm on Saturday 2 May as part of Yearly Meeting at Friends House, 173 Euston Road, London. Diana considers our peace testimony in relation to the current global context and, drawing on what she has learned from her practical experience of violence and peacemaking in many different countries, she will articulate a radical vision for humanity and propose lines of witness and action for Friends. Diana is a member of Bradford-on-Avon meeting and has worked as a facilitator, trainer and consultant with groups of people involved in or affected by political (especially inter-ethnic) conflict, or those seeking to address injustice. She has undertaken a great deal of training (and training for trainers) in conflict transformation and facilitated dialogue in a wide variety of contexts. Diana is a former President of the International Fellowship of Reconciliation and Chair of the Committee for Conflict Transformation Support. She is a peace campaigner and a writer of articles, papers, chapters and books and addressed the 2011 Spring Conference of Quaker Peace and Social Witness (QPSW), with a paper entitled Reason, Faith and Commitment.